Many industrial and manufacturing processes require the use of coolant. After all, coolant plays a critical role in both lubrication and temperature regulation. It’s vital in metalworking, machining and many other industrial processes—any that use or create heat. 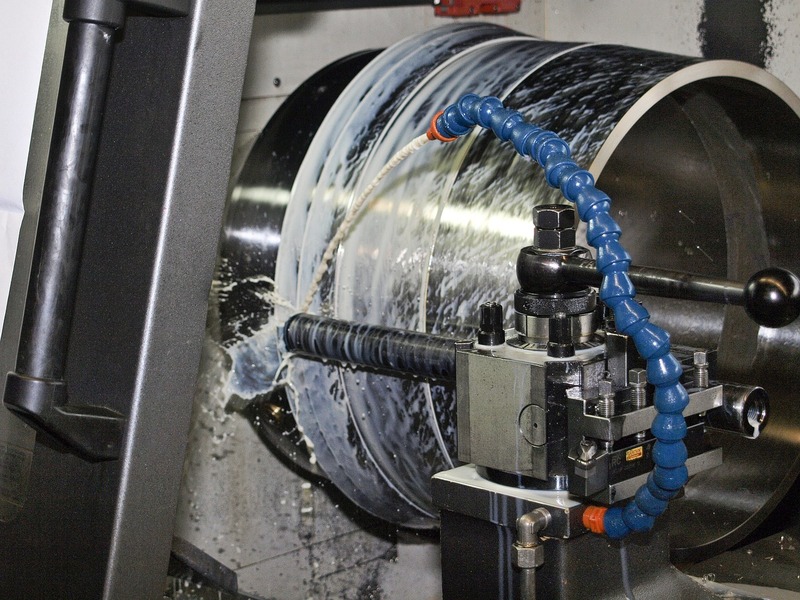 From cutting, grinding and machining oil-coated metal parts, and because CNC machining centers leak hydraulic oil, coolant quickly picks up tramp oil, particulate matter and other impurities, mandating regular upkeep. Coolant often contains oil as an ingredient, but it is when hydraulic oil, oil that coats raw material, or other residual oils are introduced to the mixture that problems start to arise. There are multiple aspects to proper coolant maintenance, but one of the most important is the regular removal of tramp oil, which can be achieved by implementing a an oil removal solution. Read on to learn about the importance of proper coolant maintenance. When coolant gets contaminated with waste oil, it starts to lose its effectiveness. When tramp oil is not effectively removed, it's necessary to completely replace the dirty coolant. Consistently removing excess oil from the coolant significantly extends its service life. Reducing how often coolant needs to be replaced results in significant savings on material and disposal costs. When coolant rich in tramp oil comes into contact with tools or machine parts, it can negatively affect their quality, longevity and performance. It can, for example, block spray nozzles and filters, leading to downtime that incurs additional labor and material costs. In some cases, poor coolant upkeep can even affect the quality of the end product. If dirty coolant is sprayed onto hot parts, it can generate smoke or vaporize into a mist that can be hazardous to workers. On top of that, such coolant provides a perfect environment for the growth of anaerobic bacteria. If left unchecked, the accumulation of bacteria can lead to foul odors or even skin disorders. That is why removing tramp oil from the coolant is essential for a clean and healthy work environment. Oil Skimmers, Inc. offers solutions specifically designed with coolant maintenance in mind. The Model 1H Brill® Tube Type Oil Skimmer is a compact tube skimmer that uses a Free-Floating Collector Tube® to remove tramp oil from the coolant sump. The sump oil adheres to the floating tube as it is continuously drawn across the surface of the sump and into the skimmer where the oil is scraped off completely. The CoolSkim™ is a tramp oil separator, or coolant coalescer that is designed to operate in areas with limited access or obstructions that would prevent the implementation of a Model 1H tube skimmer. The CoolSkim features a floating weir skimmer with a pump to efficiently bring tramp oil from coolant sumps into the separator. Tramp oil is separated from the coolant and the clean coolant is returned to the sump. In the case of larger applications, or for central sumps, we also offer larger units, such as the Model 5H, Model 6V, or SAS® (Separate and Skim) Tank. Oil Skimmers, Inc. provides a variety of standard and custom-engineered systems to help you remove tramp oil and extend the life of coolant. To ensure that you choose the optimal oil removal solution for your particular application, please contact us, call us at +1 (440) 237-4600, or schedule an on-site visit with one of our oil removal solution experts. And, to stay up to date on the latest oil removal equipment, news and insights, subscribe to the Oil Skimmers, Inc. blog here.